At the end of the Dempster Highway 8; approximately 165 miles from the Yukon/Northwest Territory border, 80 miles from Tsiigehtchic. In winter and spring, motorists may drive further, following the Mackenzie River ice road east to Aklavik or north to Tuktoyaktuk. The town is served daily by scheduled flights from the Northwest Territories, Yukon and Alberta. Population: 3667. 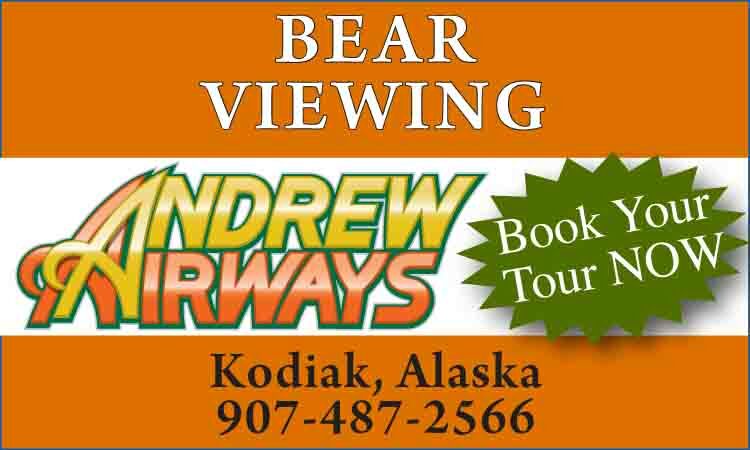 Visitor Information: Visitor Information: Town of Inuvik, PO Box 1160, #2 Firth Street, Inuvik, NT X0E 0T0; Phone: (867) 777-8600; Website: www.inuvik.ca. 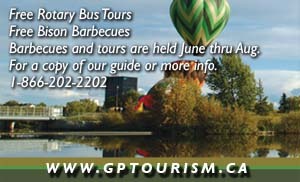 Visitor Information Centre: Phone: (867) 993-6167. Less than 60 miles from the Arctic Ocean, the largest Canadian community north of the Arctic Circle sits on a plateau overlooking a shining maze of lakes and streams, with a spectacular view of the Richardson Mountains. Situated on the scenic Mackenzie River delta between tundra and boreal forest, Inuvik personifies the Land of the Midnight Sun. The area is the homeland of the Inuvialuit or western Inuit of the Beaufort coast and Arctic Islands and the Gwich’in, whose territory extends from Alaska and the northern Yukon to the Mackenzie Valley. Ancestral Inuvialuit traveled with the seasons to gather fish and game. The Gwich’in fished the rivers for char and hunted the Barrens for caribou, introducing trade goods from the Pacific Coast and from seventeenth century Russia. The Metis culture exerts a strong influence here and a wide variety of non-aboriginal people have called Inuvik home since the fur trade and whaling eras. American sealers and whalers followed the coast east in the nineteenth century to harvest Bowhead whales and traders and missionaries sailed the Beaufort Sea. Fascinating relics from the fur trade era may still be seen, including old Post buildings and Mountie detachments and historic mission churches. Feeling the need for an administrative center in the Western Arctic less subject to the rigors of flooding and erosion than the traditional center at Aklavik, the Council of the Northwest Territories granted Inuvik (for "Place of People") that status in 1958. The planned town was designed not only as a base for development and administrative purposes, but also to provide education, health care and new opportunity to the people of the Western Arctic. Inuvik is the main headquarters for the oil and gas industry in the Beaufort Sea and Mackenzie Delta, offering a full range of accommodations, restaurants and specialty shops. Gwich’in Territorial Park Reserve on Campbell Lake is a major migratory bird staging area and home to rare Arctic plant communities. Accessed by charter plane from Inuvik, Aulavik National Park on Banks Island is a vast wilderness with desert like badlands, sheer cliffs rising several hundred yards from McClure Strait and the only icebergs in the region. Numerous archaeological sites within the Park preserve evidence of human habitation dating back at least 3,400 years. The Kittigazuit National Historic Site protects the east channel island where nearly 1000 Inuvialuit once prospered hunting beluga, in log and sod houses unique to the Canadian Arctic. 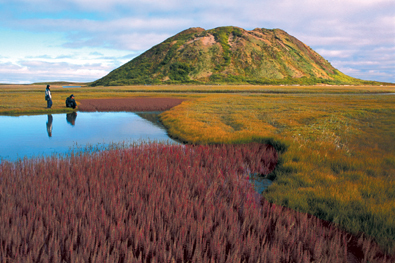 The Canadian Pingo Landmark is a national monument located between Inuvik and Tuktoyaktuk, encompassing terrain dominated by the huge ice covered hills unique to the permafrost environment. Two of the largest pingos have been used as landmarks by the Inuvialuit for centuries; interior cave systems provide natural refrigeration for perishables. Visitors can step comfortably into a variety of first hand aboriginal cultural experiences in the Inuvik area. Community festivals celebrate with traditional drum songs and dancing; visit a family camp or sleep in an igloo on a spring expedition to the edge of the ice floe; fly out to a Gwich’in lodge for tremendous fishing. During the Arctic char migration, the rivers teem with large, spirited fish fighting their way from the Beaufort to ancestral lakes where they remain for many months. Notable regional river systems providing challenge for adventurous paddlers include the winding Peel, the little-traveled Anderson and Horton and Canada’s most northerly navigable river, the Thomsen. The Arctic Red River is a Canadian Heritage River descending from the Mackenzie Mountains through steep canyons in the Peel Plateau to the Mackenzie Delta. The area surrounding Inuvik is snowmobile heaven, with 6,000 miles of Mackenzie Delta channels to explore. Some of Canada’s best nordic skiers were born here, training on the long, smooth trails of winter rivers. Expert local guides can provide cozy dogsled tours bundled aboard a sturdy sledge; winter polar bear hunts by dogsled are available out of Tuktoyaktuk. There are a variety of celebrations and festivals held every month in the Inuvik region. The first sunrise of the Arctic Coast in observed in early January with bonfires and fireworks. Summer Solstice Midnight Madness coincides with National Aboriginal Day. The Great Northern Arts Festival spans 10 days each July, bringing artists and performers from Greenland to Alaska together for exhibitions of Northern culture. Visit the Western Arctic Regional Visitor Centre for information about tours and festivals or to view the fascinating interpretive displays; lay claim to the Certificate of the Arctic Circle Chapter awarded to all intrepid travelers crossing the Arctic Circle and be sure to see Inuvik’s beautiful landmark Igloo Church "Our Lady of Victory", skillfully built by volunteers from the congregation. For those who are adventurous and want to get off the beaten path, the power and marvellous scenery of the Arctic cannot be underestimated. Journey north of the Arctic Circle and one of the local tour companies can host you on an experience of a lifetime. Enjoy the Inuvialuit and Gwich’in culture, trek under the midnight sun, photograph a variety of northern flora and fauna or drive the Dempster Highway or on an ice road. There are two major local tour operators who are resident guides: Olav and Judi Falsnes of Arctic Adventure Tours and Kyle Taylor of Up North Tours.